​Tottenham returned to winning ways on Wednesday night after beating Southampton 3-1 at the national stadium. Much of the game was played at a pedestrian pace with Spurs' victory never really being in doubt, following an early Harry Kane strike. The first goal came as a result of some clever movement from Tottenham's number ten as Kane converted a low Christian Eriksen cross. After going behind early on, Southampton responded well with the next best chance of the half falling the way of Pierre-Emile Højbjerg, who saw his long range effort tipped wonderfully onto the post by Hugo Lloris. 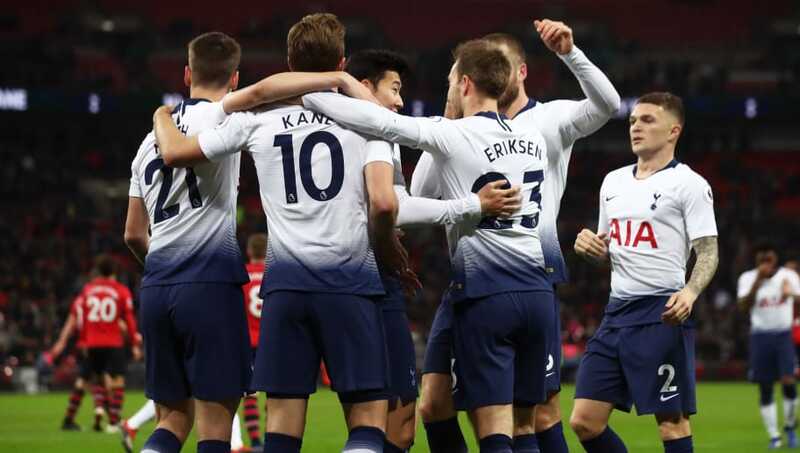 However, Pochettino's side came out firing from the half-time break, with goals from Lucas Moura and Heung-Min Son ensuring all three points went the way of the north London giants. Despite a late consolation for Charlie Austin, Southampton were left ruing their missed chances which if converted, could've seen them come away from Wembley with a valuable point. Tottenham did what they would have set out to do in this game, displaying excellent bounce-back-ability following their crushing derby defeat last time out. Despite being far from their sparkling best, Spurs secured the crucial three points and got their festive schedule well and truly back on track. Starting XI: Lloris (8); Trippier (6), Foyth (6), Alderweireld (7), Rose (8); Winks (7), Dier (6), Son (7), Lucas (6), Eriksen (8); Kane (9). The Tottenham and England captain was crucial once more for his side, as he opened the scoring and assisted Son's goal in the second half. Admittedly, this will not be the toughest examination of Kane's goalscoring prowess, but he will be relieved to jot his name on yet another Premier League scoresheet, keeping him in touch with the league's best. The World Cup winner made a string of world class saves to keep his side in this game. With Tottenham taking their foot off the pedal in the second half, barring the Frenchman's impressive display the scoreline could have told a very different story on Wednesday night. After a derby day of mixed emotions for the 24-year-old, Dier looked far from his energetic best and was missing for large parts of the game. Unable to effectively break up Southampton's play, the holding midfielder cruised through this tie without contributing anything of real importance. Must improve if he is to maintain his spot in the starting XI over Christmas. Southampton's new manager Ralph Hasenhuttl would have been encouraged by his new side's display at Wembley, if not by the final score. They limited Spurs to very few chances after falling behind and were on top for most of the second half. They had more shots than the home team and enjoyed 48% of possession, but shot themselves in the foot with some very soft defending, reminding the former Leipzig manager just how colossal a task he has undertaken. Starting XI: McCarthy (6); Soares (7), Stephens (5), Yoshida (5), Targett (4); Davis (7), Hojbjerg (7), Ward-Prowse (6), Armstrong (6), Redmond (5); Gabbiadini (6). Substitutes: Austin (7), Romeu (4). The Danish midfielder was excellent in the heart of midfield for the Saints. He not only started attacks from the base of midfield, but also had a few chances to score himself, most notably hitting the post from range in the first half. The 23-year-old full-back looked very much out of his depth at Wembley on Wednesday night, and was directly at fault for Spurs' third and final goal after giving the ball away in a very dangerous position. Certainly didn't do his chances of retaining his place any favours and Targett will be looking over his shoulder with Ryan Bertrand's return from injury imminent. The Wembley win for Tottenham sees them return to the top four, leapfrogging London rivals Chelsea and Arsenal. They will hope that this result can spark another winning run as Spurs face a season-defining month ahead. Southampton remain the only team in the league yet to have won two Premier League games this term, but Ralph Hasenhuttl will be encouraged by his player's resolve to stay in the game and even dominate it for large periods. If he can sure up their flaky defence, relegation will be far from the Austrian's thoughts come May.